CD3D Medical, the R&D arm of Polish 3D printing news provider CD3D Sp. z. o. o. 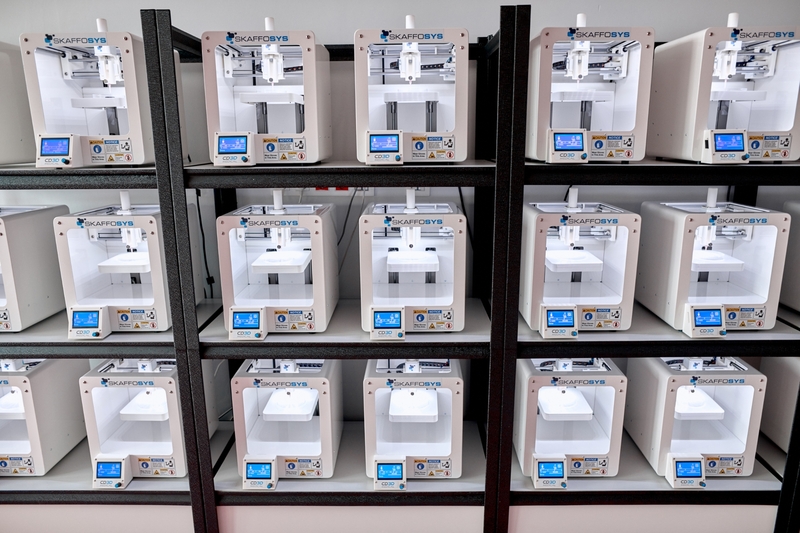 (Centrum Druku 3D) has created an Open 3D Bioprinting Cluster in Lodz. Part of the Bionanopark laboratory complex, this facility, according to the company, is one of largest of its kind in Europe, housing 21 SKAFFOSYS 3D bioprinters developed specially for this purpose. Paweł Ślusarczyk, President of the Board and Business Development Manager at CD3D, is Project Director for the cluster. Speaking to 3D Printing Industry, Ślusarczyk gives further detail about this landmark installation and the developing SKAFFOSYS 3D bioprinter brand. The CD3D Open 3D Bioprinting Cluster is the product of two to three years studying the medical 3D printing market. Though various institutions are using 3D bioprinting for regenerative experimentation, Ślusarczyk explains that CD3D noticed a gap for off-site facilities. “Right now the situation on the market is that if you want to have anything bioprinted and tested, you need to buy a bioprinter and have [your] own laboratory,” Ślusarczyk explains.